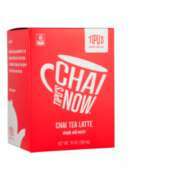 Tipu's Authentic Indian chai is a perfect blend of bold, spicy, creamy goodness. Done right, it brings a harmonious moment of reflection and balance. 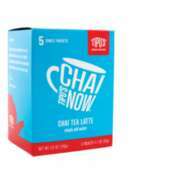 Tipu's is available in instant, Certified Organic quick brew, and Certified Organic slow brew versions. Can be prepared hot or iced. Tipu's Quick Brew and Slow Brew are vegan. All Tipu's Authentic Indian Chai is Certified Kosher, Gluten Free, and contain only all-natural ingredients and no preservatives. 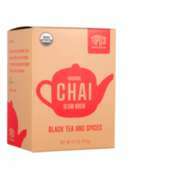 Perfect for a lively cup of authentic chai elation - real spices at the bottom of every cup!